Rediff.com » Movies » Will she continue the Dream Girl's legacy? Will she continue the Dream Girl's legacy? Esha Deol's adorable pictures with daughter Radhya. 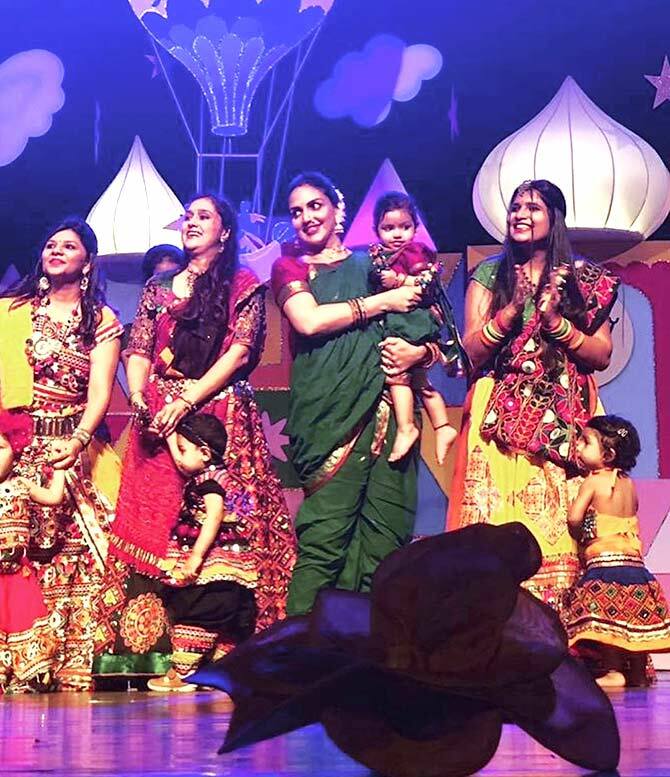 Proud mother Esha Deol posted pictures of her daughter Radhya Takhtani who performed for the first time on stage along with her mother at the toddlers annual day. 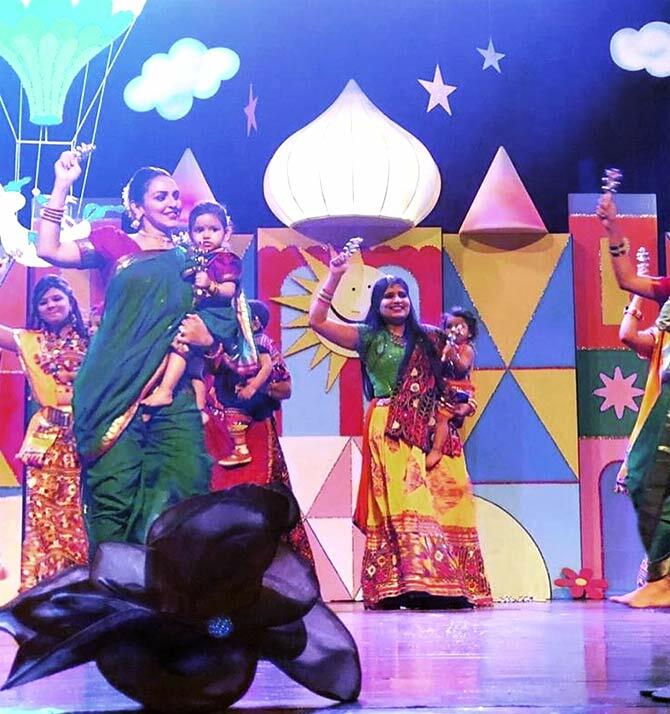 Esha wrote '#preciousmoments Radhya's first #danceperformance on stage ... with her mommy #mothertoddler #annualday #firstperformance #maharashtrian #saris #babyandme #dancingaway #indiantredition #prideofindia #motherdaughter #takingthelegacyforward #radhyatakhtani @bharattakhtani3 @dreamgirlhemamalini #gratitude'. We know Nani is busy with her 2019 election campaign in Mathura, but we bet Hema Malini is thrilled to see her granddaughter dancing in her footsteps.